The Covr C203 is a solid home Wi-Fi mesh kit but the combination of a slightly higher-price and the absence of a third backhaul band does put in a weird spot compared to the competition. While traditional home networking setups are far from extinct, there's a basket of very good reasons that mesh-based Wi-Fi is driving a new wave of growth in the home networking hardware space. It’s usually easier to set-up, it can be more reliable, give you more control and, unlike all but the beefiest traditional routers, it’s built for the reality of multi-device, smartphone-centric households. However, unlike the Netgear Orbi and Linksys Velop, the Covr C203 is a dual-band mesh Wi-Fi system. This puts it more in competition with things like TP’s Deco M5 and Google’s Home Wi-Fi solution, which get by on dual-band to solid effect. The key difference here is that the Covr lacks the dedicated third Wi-Fi band found in its more advanced (but expensive) brethren use for backhaul. And while that difference is an important one, it’s not the only factor at play here - and if you’re the kind of more casual user who just wants to set up their home network and forget about it, this technical shortcoming might not really even translate into a tangible drawback or limitation on your everyday experience with the Covr. In terms of design, the D-LinkCovr C203 nodes look a lot closer to TP Link’s Deco kit than they do the taller, more vertical form-factors of the Orbi or the Velop. They’re shaped like spades, with rounded corners at every point. Each triangular node also features a colored faceplate on top which can be swapped out for one of several alternatives included in the box. As well as adding a bit more color and diversity to the line-up, this can also helps you keep track of which node is which and avoid getting them mixed up. Like similar mesh kits, the Covr can be set up using the D-Link My Wi-Fi app or more traditionally using an ethernet cable and a PC. We did encounter some initial technical difficulties detecting and connecting to our primary Covr node but within half an hour or so we had everything set up and good to go. In terms of what the companion app offers you: it provided a lot of the functionality and covers a lot of the same ground you’d get out of similar software included with similar mesh Wi-Fi systems. More on this later. 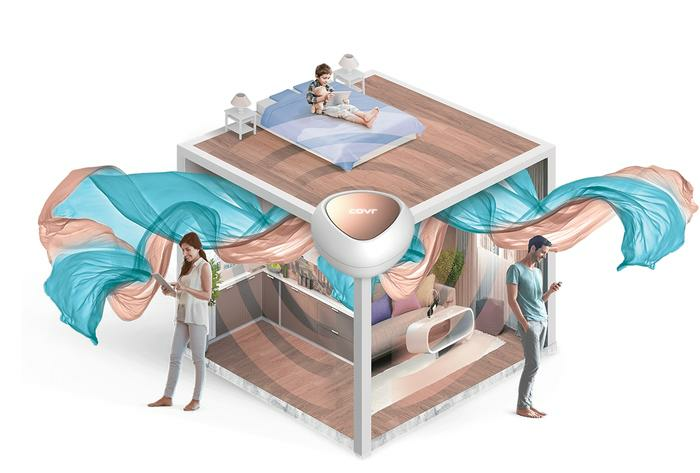 In line with the expectations of the target market for these mesh Wi-Fi systems - parents - the D-Link app features several tools designed to help manage the internet access and usage of devices connected to the network. Still, once we had everything nicely set up and in place, the general experience offered by the Covr C203 was consistently good. We experienced no unexpected downtime or local connectivity issues. There are two key features to highlight here: smart roaming and smart steering. The first, according to Dlink, seamlessly connects you to the strongest signal as you move. Meanwhile, the second promises to automatically directs your devices to the optimal wireless band. Read more Mesh Wi-Fi vs Traditional Routers: Which is better? In terms of how these features translated into practical usage. We got pretty good signal strength for devices in the same room as our Covr nodes but experienced a pretty harsh drop-off if we were even a few meters beyond the confines of that space. Directly compared up against our existing TP-Link Deco kit using Netgear’s Wi-Fi Analytics app, we found the Covr wasn’t quite as reliable when it came to signal strength. For a dozen or so obvious reasons it's not worth listing here: your real-world mileage may vary. However, at the end of the day, I can only really speak to my first-hand experience with the product - and, based on that experience, I found it little bit of a letdown. In addition to providing less reliable coverage, I found I significantly preferred the UI and general functionality offered by the TP-Link Deco app over D-Link’s software. It’s more intuitive to use and easier to jump right into the general quality-of-life features I actually tend to use - whereas D-link’s app felt like a more straightforward transplantation of the grittier router settings that you’d usually access via web browser. Again, these aren't necessarily going to be hardline drawbacks to the experience that every potential user might share, but they are going to hold me back from replacing my existing home setup anytime soon. 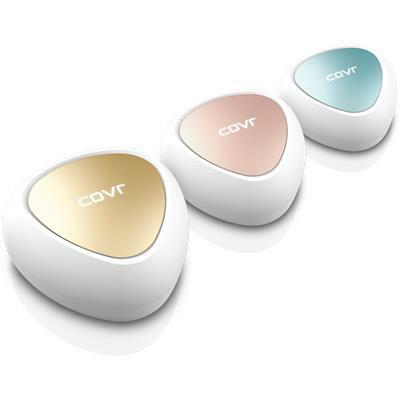 Still, the Covr Mesh Wi-Fi system has a snazzy sense of aesthetics to it and, if you’re looking for ticked boxes, it does include plenty of those. However, with the software being as mundane as it is and the hardware not quite the scenestealer you'd hope it would be, it emerges as a product that's easy to recommend on its own merits but difficult to make the case for it in context.